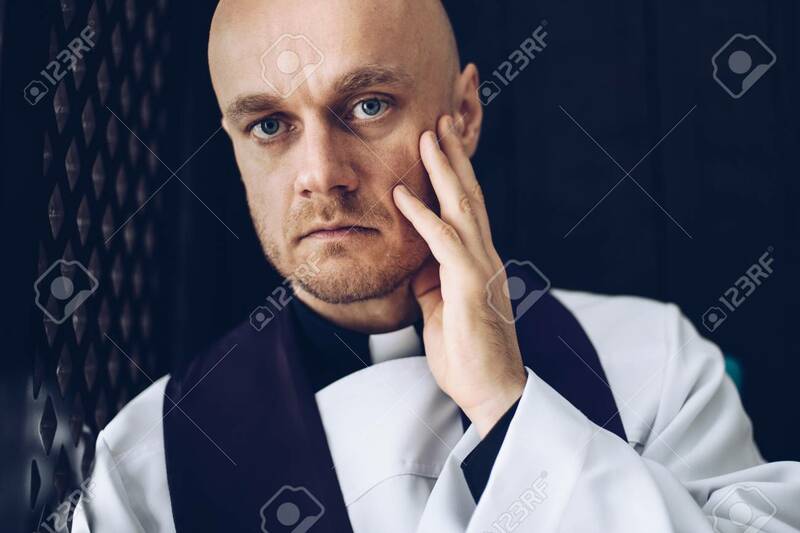 Catholic Priest Confessives In The Confessional. Faith And Religion Lizenzfreie Fotos, Bilder Und Stock Fotografie. Image 116596298.